Choosing a stretch wrap film supplier, and what should be expected of him. Editor’s note: CAPS does not sell stretch wrap. However, we are often asked to provide our customers with reputable film distributors whom we know understand the product, and are able to provide a proper plan for customers. As this can be a touchy subject we decided to help our stretch wrap machine customers by creating this stretch film buyer’s guide. These are important points to consider when looking for a stretch film distributor. How do I find and evaluate a stretch wrap film supplier? Finding a stretch wrap supplier is pretty easy. If you are reading this, it may be because you have found our web site by searching online. Searching online has taking a lot of the guesswork out of finding all types of suppliers. I would highly recommend starting your search on-line. There are many stretch wrap salesmen (and web sites) that will sell you any stretch wrap you request. Most of these salesmen view stretch wrap film as a “commodity” that has no inherent value, and in fact, very few stretch wrap salesmen actually know how stretch wrap really works. They will ask you what you are looking for and quote only what you ask, for at a penny lower than what you currently pay. This flea-market mentality will provide no value to you in the long term. Evaluating a stretch wrap supplier takes a little more brainwork than finding one. This is an important process, however, because choosing the right supplier can make the difference between getting the most performance and efficiency for your money or, getting stuck with a marriage of stretch wrap and stretch wrap machine that doesn't perform. In fact it can cause damaged product in transit, dramatically increased stretch wrap costs, and potential for packaging failure on your customer’s floor. Ask the distributors you are considering how long they've been in business. Common sense says that older, more established companies will have a better record of customer satisfaction. You should learn about stretch film from the supplier not at the same time as the supplier. Experience is invaluable. The longer a distributor has been focused on stretch wrap the more likely they can steer you away from mistakes. Do not learn about stretch wrap with the distributor. Learn it from your distributor. Then, follow up by calling those people and asking them how satisfied they were with the stretch film supplier. Try to ask specific questions, about the supplier’s timeliness, support, knowledge of your specific packaging application, and the initiative of the supplier to continually improve your overall packaging. Ask about stretch wrap machine expertise. If you know more about how the machinery affects the performance of the stretch wrap than the salesman trying to sell it, then I would look to the next supplier. A supplier of stretch wrap must be an expert in stretch wrap equipment to properly provide the services required of a stretch wrap supplier. This is probably the most important point in considering a supplier. Stretch wrap does not work in a vacuum. The stretch wrap machine performs the final process of transforming the stretch wrap into the final product that will contain your loads. If your supplier is not an expert on this equipment then he is not able to ensure that this final process performed on the stretch wrap he provides will be done properly. Ensure that the supplier has service expertise available by phone and in person. We are not talking about just having a mechanic who knows the grease points on equipment. You want to have access to a certified troubleshooter who can plug in his computer and determine what is not working immediately instead of playing backyard mechanic. Such experts can often even troubleshoot the issue over the phone based on their experience with the equipment. The top groups are able to connect to your machine using remote access to reduce your down time. This support should be available. Do not settle for less. Ask for an in depth summary of the installations and service support system the supplier has in place. Custom designed plans to meet your specific needs. Do not get caught up in the cost per roll or pound. This is simply only ONE component of the total cost per load. There are many other components of a stretch film plan that you will want commitments on. The distributor should be responsible for providing efficiency improvement opportunities not only in alternative film products but also by providing retrofit upgrades or service that will ultimately improve your stretch wrapping performance over the long term. They should be continually searching out opportunities for improving your performance. Many salesmen provide smoke and mirrors shows about the potential for stretch wrap savings with their product. Savings of 30% with this X product is possible. Well that is fine but ensure there is a reporting plan that documents the actual costs, which can be compared to the “theoretical” cost they sold you on in the first place. You want to make sure there is a reporting plan that measures the distributor’s success in improving your actual stretch wrapping performance and cost savings. You also want a system that pushes a cost savings plan that forces the supplier to continue to review performance continuously. A distributor looking for a long-term relationship will provide these services that actually reduce their sales because they realize that this strengthens their relationship with their customer. Remember, it is the overall package that is important and not just the cost per pound. The following is a list of questions you may want to ask a Supplier when you are trying to make a selection. How much stretch wrap do you sell (in pounds)? This will determine the supplier’s capacity to deliver in difficult times. It also allows you to determine what weight he has with his suppliers. What is the % of the total company sales does stretch wrap account for ? Is it a primary product or is it a filler product. You do not want to be just an afterthought of the supplier. You want to be buying from a supplier that stretch wrap is a primary product that is key to their core business. This ensures that you receive up to date market knowledge and new products that may save you money. How many stretch wrap manufacturers does the company deal with ? Having too many manufacturers may mean they move from manufacturer to manufacturer without any consistency. It also can limit the commitment the manufacturer shows the supplier. If the supplier deals with only one manufacturer then this also can imply risk if that manufacturer production is limited for some reason. What service capabilities does the stretch wrap supplier have? Your stretch wrap supplier does not necessarily have to have a service tech right up the road. In fact, in most cases the company that sold you the stretch wrapper is responsible for the servicing. However, if your stretch film supplier has qualified service technicians that are able to troubleshoot issues over the phone, in person, or online using modem then you know that you have a stretch film supplier that is focused on your needs. It is rare that the stretch wrap supplier has quality service capabilities. They are usually basic techs that are not advanced programmers or electrical troubleshooters. If you have access to this advanced type of support then it will pay off in the long run. Besides cost per roll savings, how else can they either improve your stretch wrapping performance or lower your stretch wrapping cost? 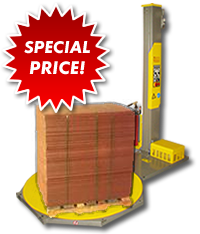 Remember that the cost per roll (or foot or pound) is just one component of your stretch wrapping costs. Your stretch wrap supplier should be looking at the complete picture for you. There are a number of areas where a quality supplier would be looking to save you money. These areas of potential savings or wrapping improvements would be found if the supplier was looking at your requirements logically compared to just trying to get a sale. If your machine is not performing efficiently then the savings of a penny per pound is offset by 10 times that in poor prestretch. Is he looking at ways to improve your stretch wrap equipment performance? 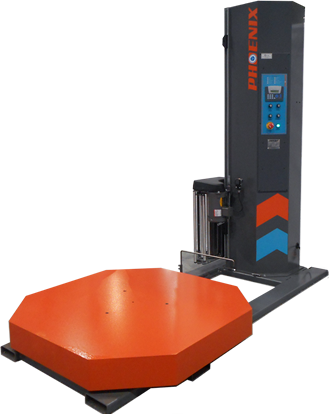 Has he suggested upgrades or machine improvements that will reduce your wrapping costs? If you have not determined how much stretch wrap is required and how it needs to be applied to your load then you may be saving 2 pennies per pound but putting on 15 cents too much on your load because you have not set up a stretch wrapping specification. Is he helping you determine just what amount of stretch wrap is actually required to do the job? In many cases we simply apply too much film. New technology is always providing opportunities to improve packaging while reducing costs. Is your supplier bringing you information about new products that may improve your packaging or reduce costs? These are just a few thoughts that should be included in your decision making process. Again, we are not stretch film suppliers but we do know that the total cost in the end is the cost per pallet shipped and not the cost per pound. One-dimensional suppliers focused on cost per roll (or pound) are not looking at the big picture. Make sure you are. They are a quality supplier who understand the points that we have mentioned above. In fact some of these points have been triggered by seeing some of the work this supplier has done in the field with accounts that have bought equipment from us.